The Jersey Devil Doesn’t Exist runs April 12-14th. Tickets on sale now. This past weekend, we hosted our first of many workshops for our newest Shrill members and artistic community. Through group exercises, Carly lent us her wisdom on the best ways to communicate with collaborators, and how to choreograph intimate moments in a safe and consensual manner. We can’t wait to have her back! In addition to our fresh new LOGO & GRAPHICS (Lizzy Dee Studio), SHRILL SHOTS (LASH Photography), and REVAMPED site (our in-house social media manager), we’re ready to expand. WE ARE NOW OFFERING: Shrill Membership, Workshops & Group Volunteer Events for members & non-members, and more! Take a look around our site to find out what’s new & how YOU can get involved! Thank you to our 108 amazing backers, we were able to raise $6,855 (surpassing our goal of 6K) to go towards our future endeavors. We are overwhelmed by the support we received during our campaign. Perks and swag will be delivered to our backers in the new year. Speaking of new year… we’re going to be rolling out a new look & new projects VERY SOON. Part of that new look will be STUNNING photos taken during a recent shoot with Lauren Sageer of LASH Photography with makeup by Lindsay Lavin of Looks by Lavin. We have launched an Indiegogo campaign to raise funds for our current and future seasons of badass feminist theatre. We want to keep providing platforms for new works, up and coming artists, and support charitable organizations that champion women and the LGBTQ communities... so we need some money! We're fundraising until November 5th. We'd love your support. 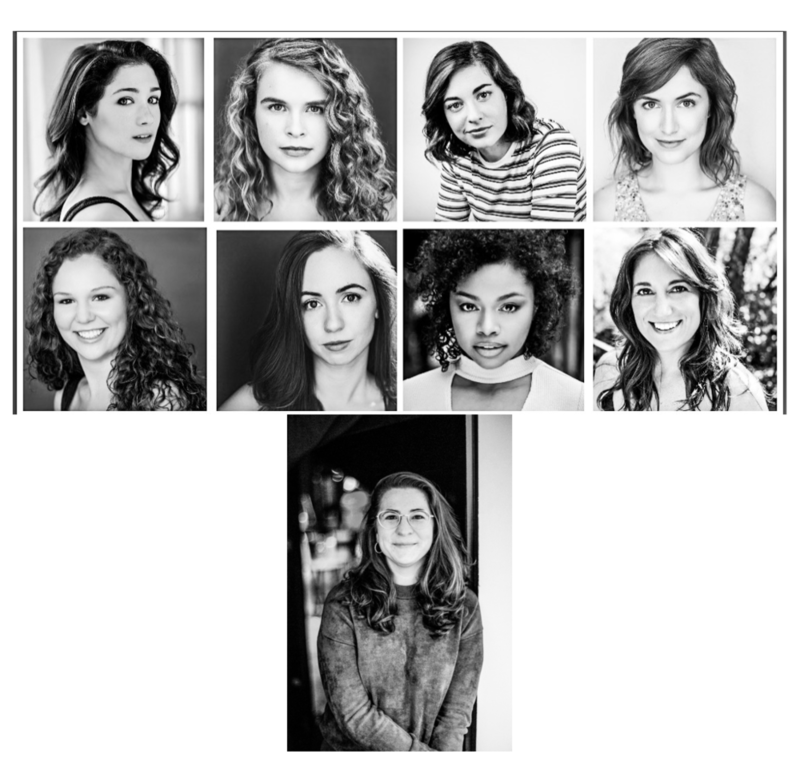 For our 5th production, we took "the dive" and put on our first fully staged published play (Dry Land by Ruby Rae Spiegel), AND brought in the amazing Allison Talis to direct our phenomenal cast. We also had the pleasure of collaborating with Reproductive Health Access Project again, whom we supported during our inaugural production of "Lysistrata." We are so proud of SELLING OUT our weekend run of "FIRSTS" - our very first show comprised of completely original material. This show was also our biggest cast yet - 33 actors and writers. We loved collaborating with some of New York's up and coming writers and can't wait to go it again! With just 6 months and 2 successful productions with 100% proceeds to charity, we have been named Matthew Corozine Theatre's first official Artists in Residence. We are honored and excited to be part of this partnership! A few of our Shrills and Shrallies walked to support the cure and care for those with HIV/AIDS at the 2017 NY AIDS Walk. Together with our friends and families, we raised $550 to donate to the cause. With 5 women in a room, 1 on speaker phone, big ideas, lots of heart, and a white board, we had our first official meeting as a collective. It was totally ShrillAF.